The Renewal of Youth. : The Orpheus Series. No. VII. The Orpheus Press, 1911.. Small 8vo; pp. 22; stiff sewn wrapper, wrapper edges chipped, page edges uncut, a good copy. Mapped But Not Known. 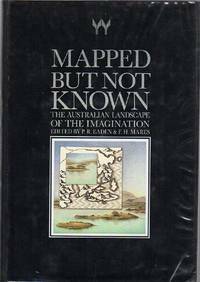 : The Australian Landscape of the Imagination. Essays & Poems Presented to Brian Elliott. LXXV 11 April 1985. EADEN, P. R; MARES, F. H; Editors. (Netley), Wakefield Press, (1986).. First Edition; 8vo; pp. xiii, 269; illustrated frontispiece, b/w illustrations throughout, index; original cloth, rubbed dustjacket; bookplate; otherwise a very good copy. A Guide To Irish Bibliographical Material. : A Bibliography of Irish Bibliographies and Sources of Information. Second revised enlarged edition; Demy 4to; pp. xvi, 502; supplementary, author index, subject index; original cloth, excellent condition. London, The Library Association, (1980). Tour Of Tours. 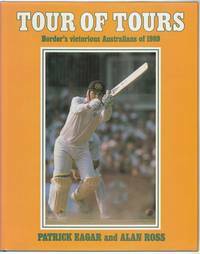 : Border's Victorious Australians of 1989. London, Hodder and Stoughton, (1989). . First Edition; 4to; pp. 128; 16 pages of colour photographic plates, numerous b/w illustrations throughout; original cloth, spine of dustjacket faded, otherwise a very good copy. Hail and Farewell. 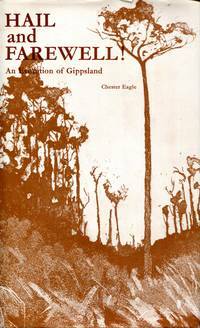 : An Evocation of Gippsland. Melbourne, Heinemann, (1971).. First Edition; 8vo; pp. 215; illustrated b/w frontispiece; original brown illustrated cloth, title lettered in black on spine, dustjacket, minor damage to top edge of cloth, flecking to page edges otherwise a very good copy. Play Together, Dark Blue Twenty. 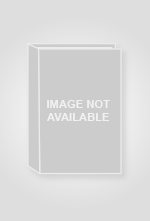 (Melbourne), McPhee Publishers, (1986).. 8vo; pp. (iv), 151; dustjacket, a fine copy. Inscribed by the author. 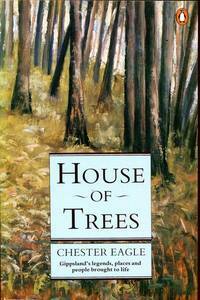 House of Trees. 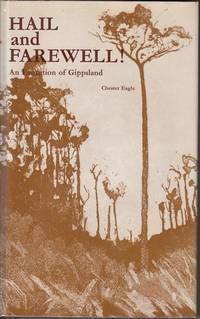 : Gippsland's legends, places and people brought to life. (Fitzroy), McPhee Gribble/ Penguin Books, (1987).. 8vo; pp. viii, 215; original stiff illustrated wrapper; minor browning to pages, marks to page edges; otherwise a fine copy. First edition; 8vo; pp. (vi) 285; dustjacket, minor chipping to dustjacket with faint mark. (Australia), Wren, (1976). (Fitzroy), Penguin Books, (1986).. Reprint; 8vo; pp. (iii), 144; some line drawings; stiff illustrated wrapper; wrapper browned, a good copy. Inscribed by the author. (Melbourne), McPhee Gribble Publishers, (1986).. 8vo; pp. (iv), 151; original brown cloth with title in gilt on spine, dustjacket, previous owner's name on front free end paper in ink, otherwise a fine copy. 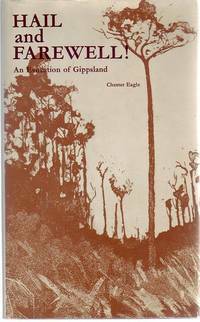 Melbourne, Heinemann, (1971).. First Edition; 8vo; pp. (vi), 215; frontispiece; dustjacket; minor browning to endpapers, small closed tear (2mm) to front of dustjacket otherwise a very good copy. Melbourne, Heinemann, (1971).. First Edition; 8vo; pp. 215; illustrated frontispiece; original brown illustrated cloth, title lettered in black on spine, rear of the dustjacket torn, endpapers browned, a good copy. Melbourne, Heinemann, (1971).. First Edition; 8vo; pp. 215; illustrated frontispiece; dustjacket; flecking to top edge of pages otherwise a fine copy. Inscribed by the author. 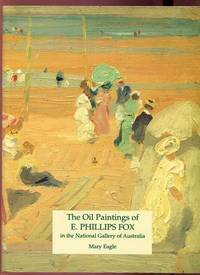 The Oil Paintings of E. Phillips Fox in the National Gallery of Australia. ACT, National Gallery of Australia, 1997.. 4to; pp. 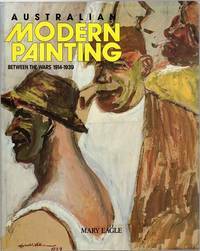 80; numerous colour illustrations; original stiff illustrated wrapper, a fine copy. Australian Modern Painting. : Between the Wars 1914-1939. General editor Jennifer Phipps. Sydney, Bay Books, n.d. [c.1989].. 4to; pp. 216; colour frontispiece, references, list of plates, index; original cloth, minor chipping to dustjacket; otherwise a fine copy. All Stations To Como. : St. George Historical Society. Book No. 6. 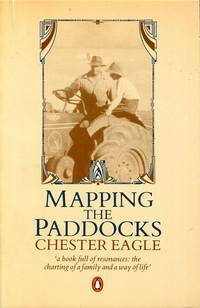 (N.S.W, St. George Historical Society, c.1971). . First Edition; 8vo; pp. (ii), 18; map frontispiece, profusely illustrated with b/w photographic images throughout; original stiff stapled illustrated wrapper, minor browning to edges, tape mark and stain to last two pages, a good copy. An Ecological Study Of The Vegetation Of Eight Mile Creek Swamp A Natural South Australian Coastal Fen Formation. : Contained in the Transactions Of The Royal Society of South Australia Incorporated. Vol. 67. Part 2. Adelaide, The Society's Rooms, 1943.. 8vo; pp. 200-223; b/w illustrations; stiff wrapper, edges of wrapper browned, a good copy. Locomotives: A Guide. : Enfield Railway Museum. (Sydney, New South Wales Rail Transport Museum, 1973).. 8vo; unpaginated; numerous b/w illustrations, locomotive details; stiff stapled illustrated wrapper, adhesive mark to front of wrapper, otherwise a good copy. Reprint; 4to; pp. (64); frontispiece, profusely illustrated throughout; stiff stapled illustrated wrapper, a good copy. Thirlmere Railway Museum, (Burwood, N.S.W., The New South Wales Rail Transport Museum, 1984). NSW Rail Transport Museum, 1976.. First Edition; 8vo; pp. (56) unpaginated; profusely illustrated, original stiff wrapper, name on title page, a good copy.